Fridays are 2-for-1! 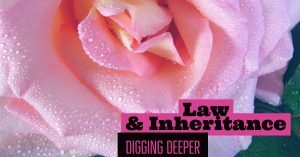 Check out the other Journey Post, Law & Inheritance! 1) Why was Jesus being questioned as “abolishing the Law and Prophets”? 3) What is meant by “least and greatest” in the Kingdom of Heaven and how does one attain “greatest”? 4) Verse 20 sounds like no one can enter Heaven. How is this true? Jesus was not a popular figure for the Pharisees and Sadducees, who were the ruling order for the temple. Jesus regularly called them out and saved His harshest words for them, accusing them of leading His people astray and holding them up to an impossible standard. The Pharisees and Sadducees were the upholders of the Jewish Law and the Prophets; they were the “law police” you could say. Because there was so much conflict between Jesus and these 2 groups, there arose the idea that Jesus had come to abolish Jewish Law and go against Jewish Prophets, which would have undercut Jesus as being God as He claimed. Jesus fulfilled every aspect of the Old Testament law when He lived on earth in human flesh; He followed every single letter of the Law and He did it flawlessly. There was no hint of mistake or error in the manner in which He lived out the Law. By living life perfectly according to the law, He fulfilled every single requirement with zero balance owing. You can think of it as 2 Lego pieces (sorry, #momofboys J) of the same color fitting flawlessly together. No apparent seam, one mold, one perfect filling of it. We could not fulfill the Law, but Jesus did. Eternal salvation is ours when we accept His fulfillment of the Law on our behalf. 3) What is meant by least and greatest in the Kingdom of Heaven and how does one attain “greatest”? Verse 19 is admittedly a tricky one to understand. The “therefore” cues us in to what Jesus had been previously discussing about the Law and His fulfillment of it. Some cross-references here can give us a broader understanding of this passage, so check out 1 Corinthians 3:12-15 and Galatians 3:10. Jesus is saying that if anyone decides to build their life by attempting to reach the status of “righteous” by fulfilling the Law, then they will be the “least”. In other words, the Kingdom of Heaven will not even belong to them. They will not be saved. In contrast, Jesus goes on to teach that whoever upholds the Law and the fulfillment of the Law (Jesus Christ), and whose life matches what they teach about the full gospel, those are the “greatest” in the Kingdom. Those are the beloved of God. Those beautiful ones who neither ignore the Law nor their sin, but see Jesus as that perfect fulfillment of it. They accept Jesus as their Savior and teach others of the rich grace they have received. This verse sounds so depressing at face value, but it shrieks with giddy freedom for the believer! Allow the cross-references (those little, italic letters next to the words in the verse) to bring greater understanding. “For, being ignorant of the righteousness of God, and seeking to establish their own, they did not submit to God’s righteousness.” (Romans 10:3) The Pharisees (and us, if we are honest), tried to establish their own righteousness, this resulted in not submitting to (accepting) God’s righteousness. We neither keep our souls safe nor reach righteousness, and in the process, are eternally condemned to hell. But, as Philippians reads, “in order that I may gain Christ and be found in Him, not having a righteousness of my own that comes from the law, but that which comes through faith in Christ, the righteousness from God that depends on faith.” (Philippians 3:8-9). Praise God! We gain Christ, we gain salvation for our souls, we gain righteousness, and so much more by submitting to (accepting) that gracious fulfillment of the Law through Jesus by faith in Him! As beautiful as grace is to the believing Christian, if we ignore solid truth in the process, ignore that there is a Law (and we fail it), ignore that Jesus does indeed call us to a life of sacrifice and deep love, then we have missed Jesus entirely. We have missed that He came to fulfill the law and the prophets, not go against them. One of the most crucial steps in going deeper in your relationship with Christ is seeing the Old Testament, the Law, and the Prophets as one, fluid, incredible story of redemption that ties flawlessly to the Cross, the New Testament, and yes, to you today! A great resource to explore this big story is Max Lucado’s “The Story”. Jesus didn’t have to pay a debt to the Law because He upheld it perfectly, but the same isn’t true for us. We owe a debt to the law because we cannot keep it. James 2:10 says that when we break one part of the Law, we become “lawbreakers”, guilty of breaking all of it. He offers to pay our debt with His un-ending perfection if we claim Him for ourselves, acknowledging our sin and hopelessness without Him. When we become His, the debt has been paid in full and we are no longer tied to fulfilling the obligation of the law, instead we are given a New Law that sums up every single other law: LOVE. 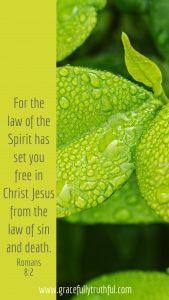 What’s more is that we are given the power to fulfill this law through the gift of the Holy Spirit dwelling inside of us. There is Freedom here. No more impossible standard of perfection, but rather a call to radical love, fueled by a relentless God! “Attain”. The word is out of place when we talk about “greatest” in the Kingdom of Heaven. The only thing we must “do” for salvation is surrender to His grace and say “Yes!” to the endless love that paid our debt inflicted by our sin! The status of greatest in the Kingdom is given to those who simply say yes to Jesus, acknowledging the serious offense of our “lawbreaking” hearts, and then allow the Holy Spirit to make our life match our doctrine (what we have come to believe about Jesus). Does the rhythm of your life reflect radical grace? Are you extending that embrace of both truth and grace to others? Are you allowing the Spirit to access and transform your heart, mind, soul, and strength? There is no greater “good news” than this….You, precious Sister, ARE SET FREE through the shed blood of a Savior who loved you enough that He REFUSED to leave you stuck in the mire of your sin or hopeless attempting to make your own righteousness day after tired day. No, He called you to more, He breaks your chains, He sets you free to dance in His love, His grace, his righteousness. Take this incredible truth and apply it to the weary, broken spots of your life and watch Him make you new! Don’t miss today’s other Journey Study,Law & Inheritance! Sign up to receive every Journey to your inbox! Thanks for joining us today as we journeyed into Freedom Week Two!